1. 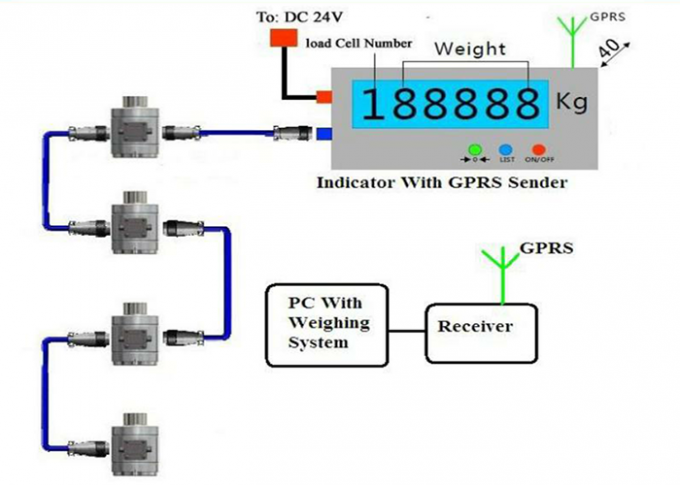 Principle:digital load cell work with indicator that is with connect to via receiver with GPRS, the load cell number installation according to weighing machine number. 2. For example: one or two unit load cell on each of weighing machine. In avoid of practice fraud, The indicator just can be simple operated by workers with permission, is show total weight and each of weight of the weigh machine. But the PC can be operated by Supervisor. 3. Both of them can see the work condition and check if the weight exceed or not. So give monitor feedback to control center. The way of monitor require from customer or design from supplier. The software surface according to customer require or design from supplier.